If you’re mentally unstable and can’t find peace anywhere, then nothing in life will make sense. Mental illnesses in any form should not be taken lightly. If someone shows signs of depression or anxiety, then the whole situation should be seen as a matter of great urgency. 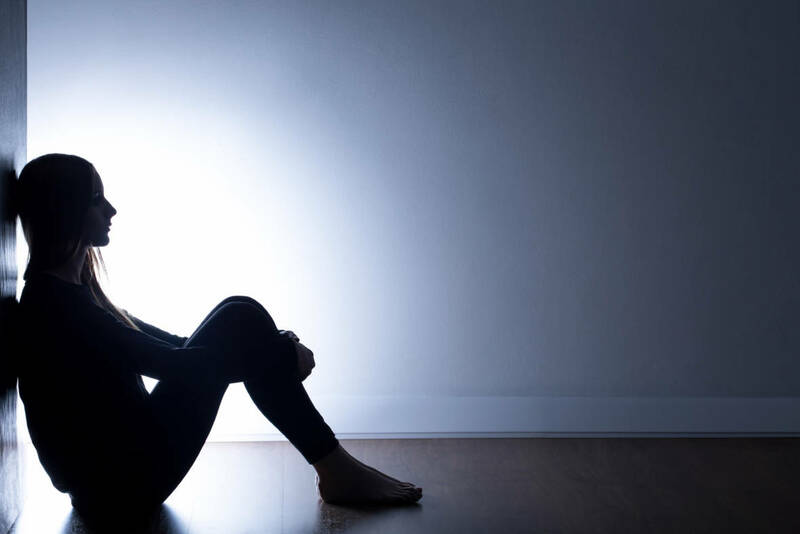 According to the statistics from the World Health Organisation (WHO), an estimated of 300 million people of all ages suffer from depression globally; and in worst cases, it straight away leads to suicide. But have you ever wondered why people suffering from depression don’t seek help? Well, it’s sometimes because people who are suffering from depression tend to ignore it and “move on” with their lives neglecting all the possible consequences. But have you wondered why they choose to ignore it thinking it will “go away” or “get better” on its own? 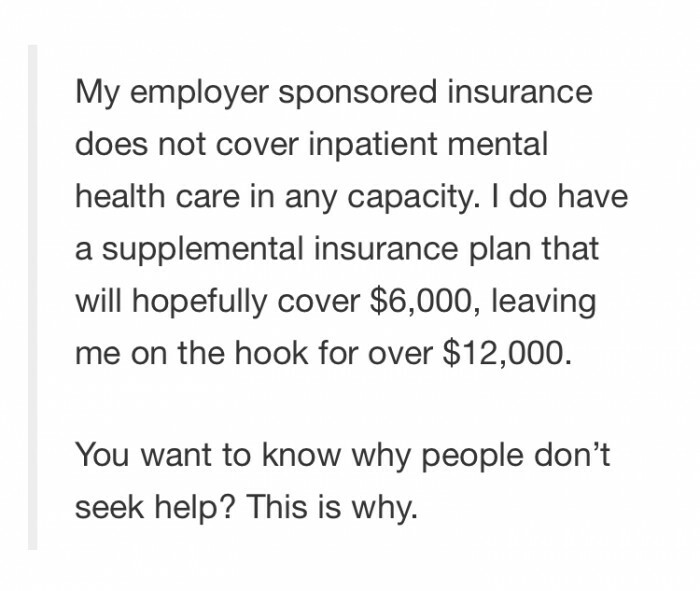 It’s because mental health problems are not treated like other health problems; health insurance does not cover its treatment which is otherwise extremely expensive. Not so long ago, Nicole Vlaming, unveiled the system of our society when she found herself in a similar situation. 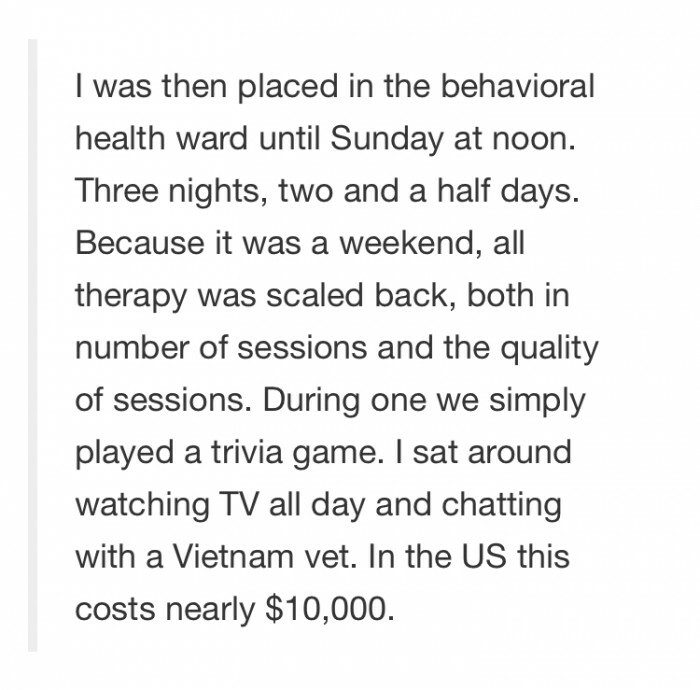 She shared a Facebook post in which she showed the whole world how much people are charged for a few small sessions with a psychiatrist and two and a half days stay in a hospital. Scroll on below and read everything in her words. 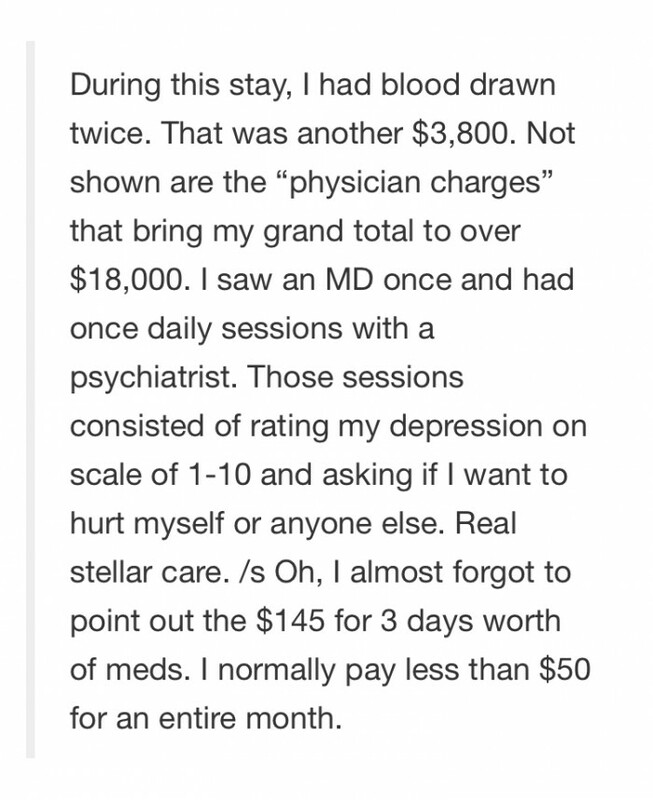 Here’s the total cost of her two and a half day stay at a hospital. It’s hard to believe it. Charging ten grand for what?! 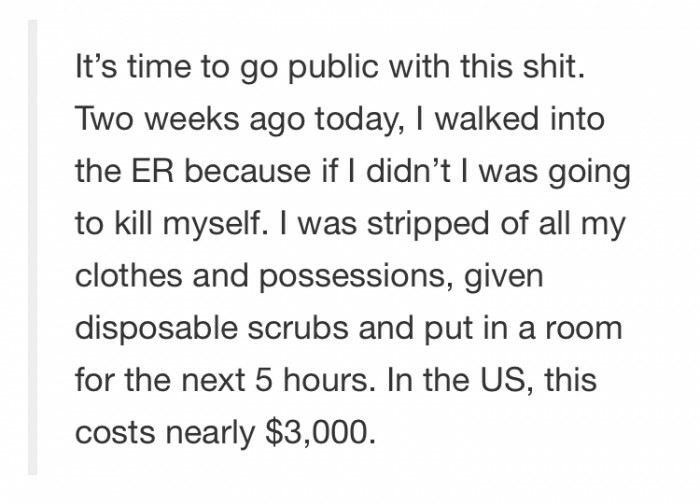 No wonder why people don’t seek help. What’s your take on this situation? 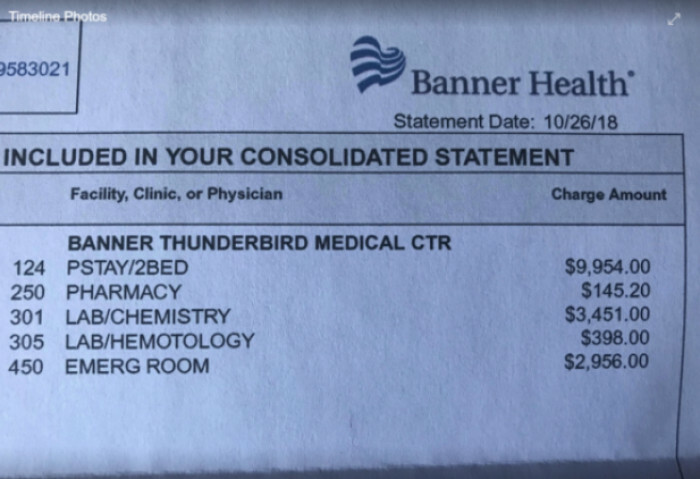 Should they be charging this much? Let us know in the comments below.